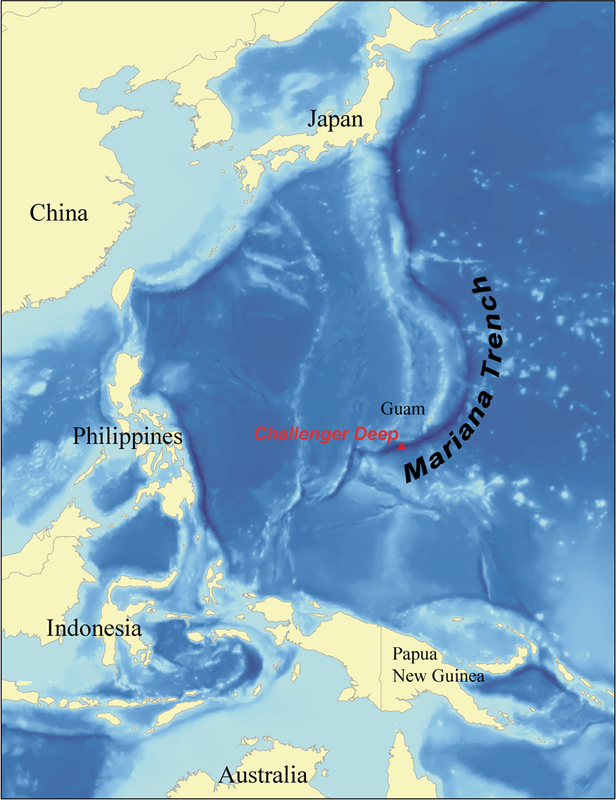 It is located in the western part of the pacific ocean. 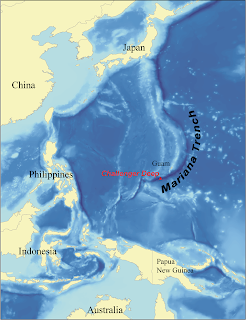 The first manned vehicle to reach Mariana Trench was"The Bathyscape Trieste ". 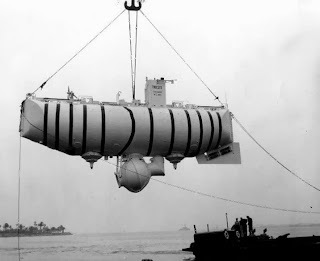 Image of the vehicle "The Bathyscape Trieste" the first vehicle to reach Mariana Trench"